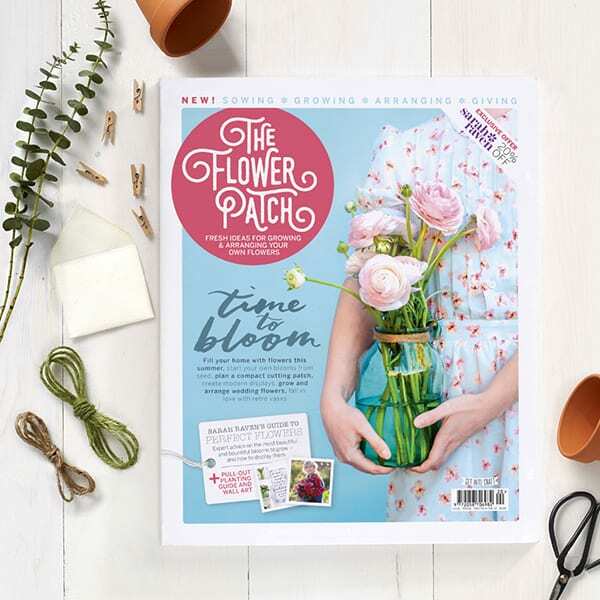 I’m thrilled to let you know about a gorgeous new magazine called ‘The Flower Patch’, which has hit the shelves this month in the UK and Europe! It features wonderful ideas for growing and arranging flowers with articles by Anna and Ellie from The Flower Appreciation Society and Rachel from Catkin Flowers. Plus there are pieces by Sarah Raven and Michael Marriott from David Austin Roses. And this first edition includes a five page article by yours truly, all about recording your flower journey using Instagram with lots of hints and tips about photographing flowers. In the article, I showcase the beautiful Instagram accounts of florists and flower growers Jo Flowers, The Blue Carrot, Floret, Green & Gorgeous, The Flower Hunter and The Garden Gate Flower Company. Furthermore, there’s a lovely interview with Grace from Young Blooms. And other businesses featured in the magazine include The Real Cut Flower Garden, Philippa Craddock, Scarlet & Violet, Ariella Chezar, Grace Alexander Flowers, Common Farm Flowers, Petalon, Jennifer Pinder, Tallulah Rose Flower School, and Pipley Flowers. In the UK, you can find the magazine in WHSmith, Waitrose, Tesco and selected newsagents, or you can order it online. Next month, it will be available in the USA exclusively at Barnes & Noble. Then in June, it’ll be available in Australia. Here’s a little taster, if you’d like a peek inside! P.S. You can also find The Flower Patch on Instagram. Is it going to be available in Canada? It looks delightful. Just wondering if when you say it June it will be available in Australia, will it be this issue or a new one? a lovely well put together magazine.looking forward to next month’s issue. Hello, Rhona, this looks like an interesting magazine for those of us fascinated with cutting gardens and natural garden-style floristry! I’ve visited the publisher’s website but can’t find any information on how frequently the magazine is published, or what the annual subscription rate is. Is it £9.99 per magazine issue? will there be any future publications of this magazine please?